Police brutality is no new thing. Unequal treatment under the law is not only commonplace, it’s an accepted norm. And, at times it seems that the victims of police violence are targeted with laser precision. Black and Latino Americans share the ire of authorities in state after state even when there are no statistical basis for their persecution. From unwarranted shootings to beatings to unlawful imprisonments, police officers continue to treat people of color as public enemy number one. Where are white allies on this issue? Absent as usual. White privilege works well. Let’s start in Tullytown, Philadelphia. 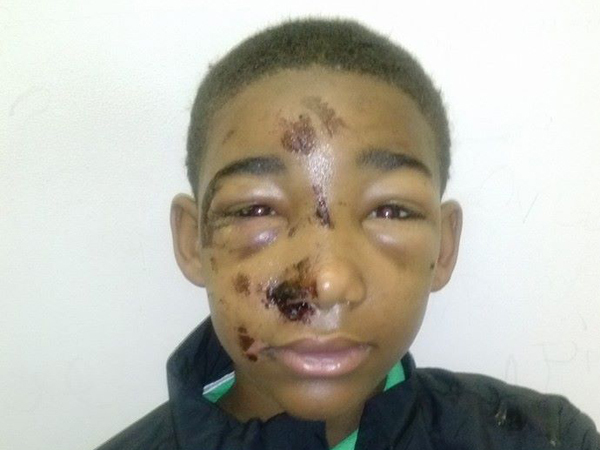 According to authorities, a 14-year-old boy (pictured above) was tasered in the face when he reportedly broke free from police custody. They suspected that he had been shoplifting from a Walmart store. Other reports purport that the young man was actually handcuffed when he was tasered causing him to fall forward into the ground. The claim is that the officers were “fearing for his safety” when they sent volts of electricity through his body. While the sentiment is sweet, it seems he may have felt safer had he not been brutalized at all. Next, let’s stroll down to New Mexico. A mother of five driving in a minivan with her homeschooled children ended up in a shoot-out with state police after a routine traffic stop gone horribly wrong. When the mother, Oriana Ferrell, was pulled over, she ended up in a verbal altercation with the officer over the citation and fines for going 71 mph in a 55 mph zone. She then got back in her car and sped off. Cue the psycho crazy cops with guns. After a brief chase, she pulled over again, the cop called back-up, and they proceeded to try to remand her again. When her 14-year-old son ran to his mom’s side challenging the officer, the proverbial ‘ish hit the fan. There was screaming, beating out windows with batons, and, eventually, one officer shot at the vehicle – with children as young as 6-years-old in it – three times. Last year in Oklahoma City, Oklahoma, reportedly, an unarmed 18-year-old male named Dane Scott, Jr. was shot in the back and killed by police Captain Randy Harrison. The victim’s 17-year-old friend, John Lockett, was a witness to the shooting. He claims that the teen actually had his hands in the air to surrender himself to the officer. Yet, he was killed nonetheless. Sometimes, black people aren’t shot and killed. In some cases, the very law enforcement agencies which are supposed to protect them (us) simply fail to do so. Not only that, they induce unjust, unequal, marginal impacts specifically for this social group. 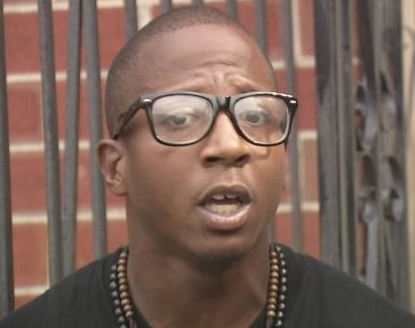 In New York, Kalief Browder (pictured right) was arrested at 16-years-old on suspicion of robbery. He claimed all along that he was guilty of nothing. Unable to post the $10,000 bail, he remained in prison for years. He refused a plea deal in January maintaining his innocence. At 20-years-old, he was released after never having been convicted. And, he was imprisoned at Rikers of all places. Now, the charges have been dropped but his family and mental state will never be the same. He wasn’t able to finish high school and struggles with finding employment. In Miami, Earl Sampson has been questioned 258 times and “arrested 62 times for trespassing at a store he actually works in.” Police officers have been seen on camera harassing Sampson as if it were a weekly routine. What do all of these victims have in common? Well, they’re all black. Some were in trouble with the law, some were mothers, some were sons, and some were trying to get to work. But, the institutionalized consequences of the color of their skin struck them unjustly despite their occupations, education status, or accomplishments. Now, try to imagine these real-life accounts but insert white as the race of each victim. Try it for a minute. What happened? Doesn’t sound right, right? You almost chuckled to yourself didn’t you? There’s no way this stuff could happen to white people on a regular basis. There is a certain cognitive dissonance that arises when we even try to ponder it. White privilege means that white people don’t have to worry about this type of treatment when they take a stroll down the street, head to work, or hangout with friends. Their privilege grants them a certain level of peace and security that many people of color just don’t have. Black people don’t have privilege. We have punishment. Punishment for some perceived fault, criminality, or characteristic. Unequal protection under the law is the name of the game. Sadly, it will take an educated and activist white cohort to demonize these acts. The black community just can’t do it alone. And, until we are ALL willing to both admit it exists and deal with it head-on, it will never ever go away.